Louisiana is located in the Deep South region of the United States but, unlike any other state in the US, it’s divided into parishes. 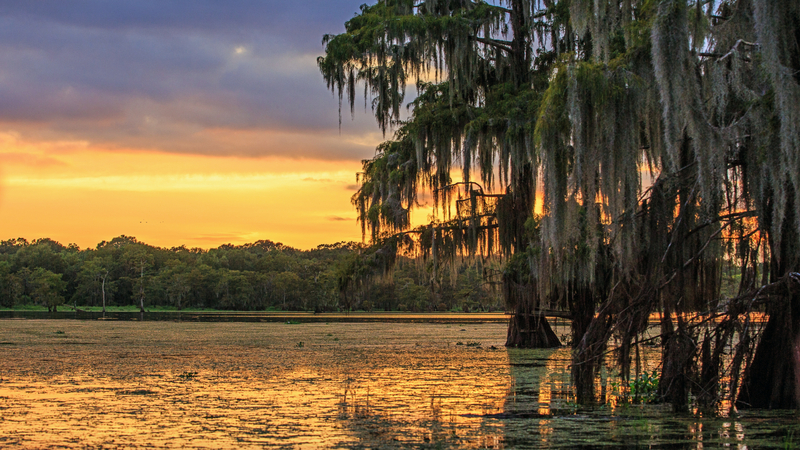 Louisiana is known by many names, including as The Bayou State, The Boot, and The Creole State, but its official name is actually The Pelican State. As for colleges in Louisiana, the home of New Orleans has an extensive public institution network, including the Louisiana State University System, Southern University System, University of Louisiana System, and Louisiana Community and Technical College System. There are also several private colleges, a few for-profits, and four religious seminaries. Hot, humid summers and short, mild winters are due to the influence of the Gulf of Mexico, and they contribute to the rich southern biota, which includes swampy areas, coastal marsh, orchids, and carnivorous plants. Top industries in Louisiana includes lawyers/law firms, oil and gas (energy), and sea transport. The French Quarter, DeQuincy Railroad Museum, and National WWII Museum are popular attractions.